Zézé Gamboa’s sardonic historical drama follows a good-hearted, apolitical con man who, on the eve of Angolan independence in the mid-1970s, pulls off a massive swindle at the expense of the Portuguese colonial administration — and soon after finds himself hailed as a hero of the national liberation struggle. In the Angolan language of Kimbundu, kilapy means scheme, fraud, or swindle, and accordingly, The Great Kilapy tells the story of a crooked but irresistible bon vivant who, on the eve of Angolan independence in 1975, pulls off a massive swindle at the expense of the Portuguese colonial administration. Inspired by a real figure, director Zézé Gamboa’s decade-spanning historical drama is a refreshing take on the national liberation story, and turns its conventions upside down with elegance and humour. João Fraga, nicknamed Joãozinho (Lázaro Ramos), is a real looker, a relentless womanizer and a big spender, who finds that his expensive tastes demand that he undertake some less-than-legal enterprises. Though he attracts the attention of the secret police due to his student days in Lisbon, Joãozinho has no real political affiliations. Although he has a number of close friends who are militant activists in Angola’s various liberation movements whom he aids by providing money, shelter or escape routes, he does this from generosity and loyalty. But in this politically charged atmosphere, even a simple crook can’t avoid getting tagged with an ideological marker. After pulling off a masterful scam against the colonial administration’s Tax and Revenue Collections office, Joãozinho finds himself suddenly arrested by the regime as a “subversive character.” While in jail, he cultivates the illusion that he is a political prisoner to great effect — so much so that when he and his fellow inmates are freed by the new, independent Angolan government, he is hailed as a hero of the struggle. 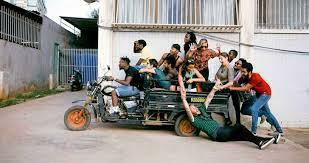 Gamboa offers a witty and compelling portrait of the last decade of Portuguese rule in Angola, and incisively depicts the world of wealth, glamour and insouciance in which the elite class moves against the background of the colonial regime’s collapse. Colorful, charming, and featuring an authentic soundtrack of the country’s rich Angolan music from the 1970s,The Great Kilapy is a vivid testament to the vitality of African cinema. O filme “Por Aqui Tudo Bem”, da realizadora angolana Maria Esperança (Pocas) Pascoal, ganhou o primeiro prémio do júri para ficção no Los Angeles Film Festival, anunciou a organização. 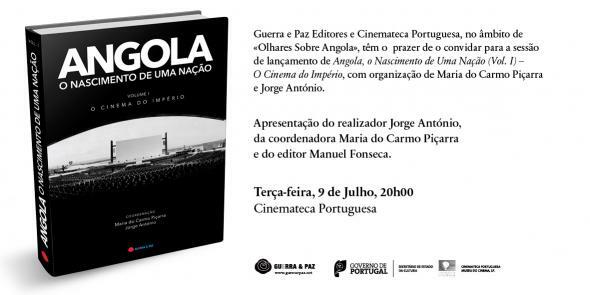 “A realizadora transformou a sua história pessoal de exílio de Angola num drama profundamente comovente, cujo poder cinematográfico é particularmente impressionante no trabalho de um realizador estreante”, refere a declaração do júri do festival de cinema independente da Costa Oeste dos Estados Unidos. Escolhido pelo júri entre 200 curtas e longas-metragens de mais de 30 países, “Por Aqui Tudo Bem” - “All is Well” na versão inglesa - conta a história de duas irmãs angolanas que fogem da guerra civil no seu país para Lisboa e, depois, para França. Para o júri, trata-se de uma “exploração da experiência de emigração e, especialmente, dos laços entre parentes, num trabalho de marcante eloquência visual e honestidade emocional”. Produzido por Luís Correia, o filme conta com interpretação de Cheila Lima, Ciomara Reis, William Brandão e Vera Cruz. O Prémio Narrativa tem um valor monetário de 15 mil dólares (11,8 mil euros), atribuído pela organização cultural sem fins lucrativos Film Independent. O festival, na sua 18.ª edição, atribuiu ainda um prémio do júri para um documentário, este ano para “Drought” (“Seca”), de Everardo Gonzalez. “Por aqui tudo bem”, de Pocas Pascoal, foi distinguido com o prémio de melhor longa-metragem portuguesa de ficção, na 9.ª edição do IndieLisboa, Festival Internacional de Cinema Independente, que encerrou a 6 de maio. artigo originalmente publicado no jornal Público, Junho 2012.